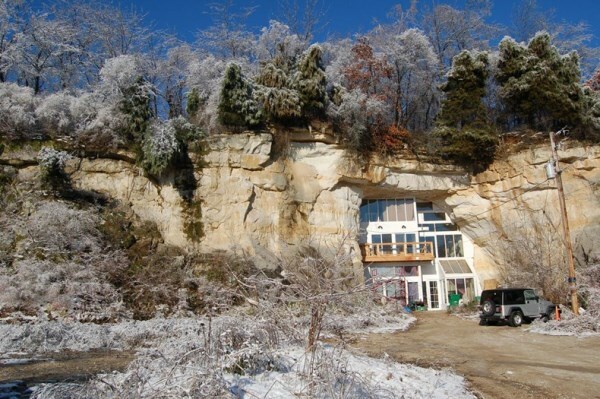 This modern and energy-efficient 15,000-square-foot home is built within a sandstone cave in Festus, Missouri. Built by Curt and Deborah Sleeper, the home features modern interiors that blend with the natural unfinished sandstone walls. Thanks to geothermal heating and clever design, there is no need for air conditioning or a furnace to heat/cool the home. This space was previously used as a concert venue and a roller skating rink! It gained fame by being auctioned off on eBay before becoming a private residence. "The turf roof, steel chimney and peephole doorway inevitably gave way to its local nickname as ‘the Teletubby house'. 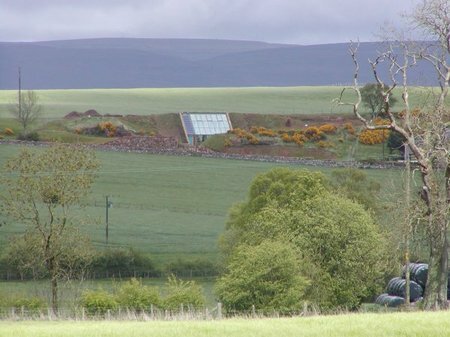 The basic design of Malator is very simple, with essentially one room inside, divided by prefabricated coloured pods, while on the outside, the house melds with the surrounding landscape." 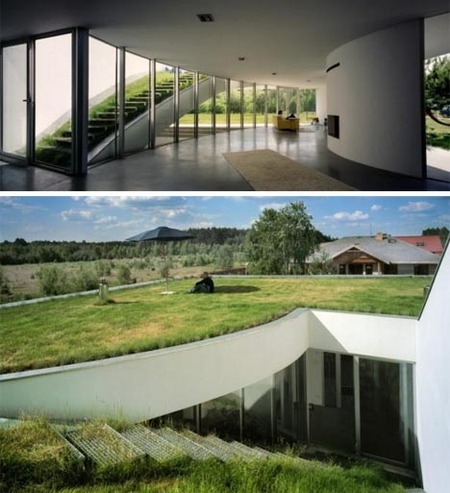 This underground house from KWK Promes was designed so the grassy roof of the home is accessible only to the residents, via a set of stairs inside the house. Built on an old quarry site, this two-story home was designed by architect, John Bodger, for Phil and Helen Reddy. 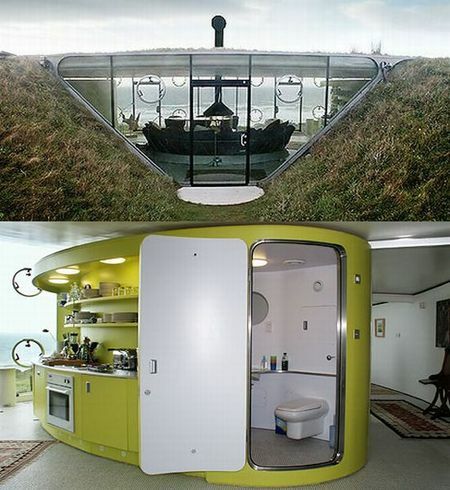 This home was built to maximize exposure to sunlight, though most of the home is underground! 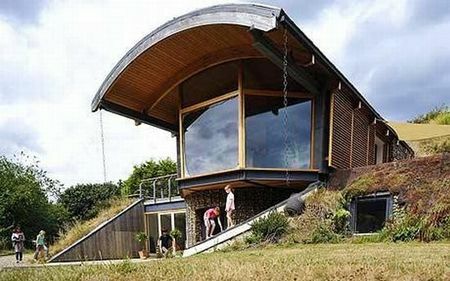 Eco-friendly, easy to heat and cool, and featuring a unique rain water harvesting system, this private residence may very well be the home of the future! Former captain of the Manchester United football team, Gary Neville, has plans to build this eco-friendly underground home in Bolton, U.K., providing the town's planning committee finally approves his plans. So far, the committee has rejected the football star's proposal to build this 8,000-square-foot, four bedroom, energy-efficient home that will blend in with the surrounding Pennine hillside. The large flower-petal-shaped openings are designed to let in light to the floors below. This rectangular structure designed by Deca is very eco-friendly, utilizing natural light and heat, and cooling cross-winds. 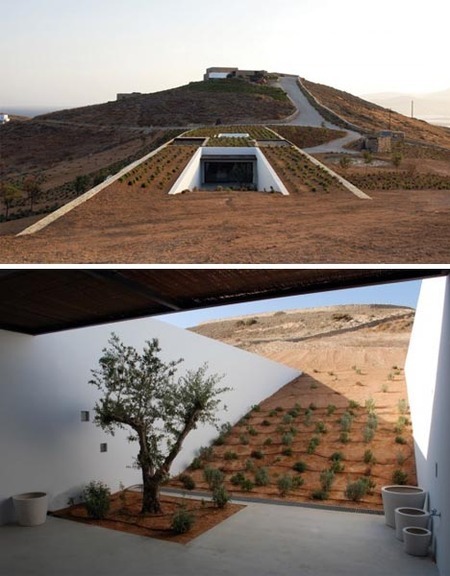 Built between the slopes of two adjacent hillsides, the house has a simple box-like plan that blends into the surrounding desert, while still incorporating traditional Greek design elements. The house is visible only in the center, and even then could pass as a half-buried ruin more than a modern home. 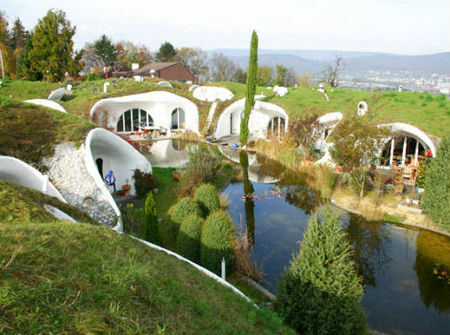 This Swiss estate, by Vetsch Architektur, consists of 9 houses connected by stairs that lead down to a basement and even a subterranean parking lot. 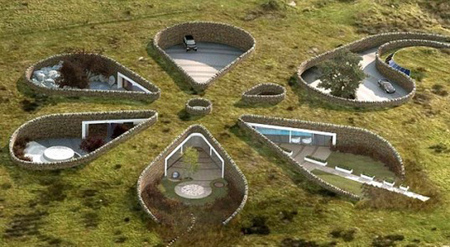 These "earth houses" use the ground as insulation that efficiently protects them from rain, extreme temperatures, wind and abrasion. 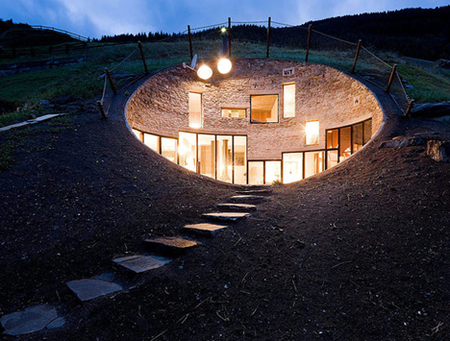 This Swiss home was designed by SeArch and Christian Müller Architects. Vals is famous for their thermal baths and boasts incredible views; this home is perfect for the location since it is very close to the baths, yet does not block the gorgeous mountain views! 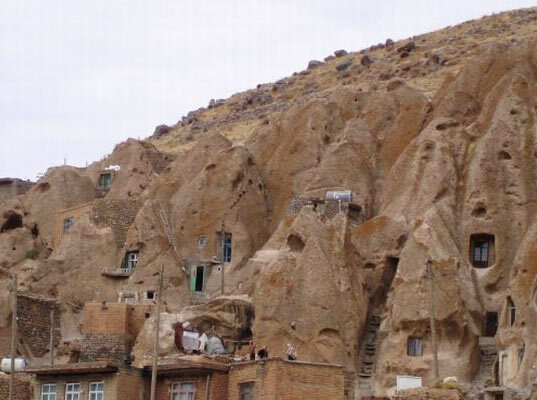 Also, since it is almost completely underground, it costs next to nothing to heat in the winter or cool in the summer.